Dr. Jay Dutton, who is double board-certified in both otolaryngology and facial plastic and reconstructive surgery joins eHealth Radio and the Plastic Surgery Information Channel. He specializes in rhinoplasty at the Rhinoplasty Institute of Chicago and is here to talk to us about implants and injectables in Rhinoplasty. What types of grafts and implants are generally available in plastic surgery? What type of grafts or implants are involved in rhinoplasty specifically? What are some factors to consider in selecting a graft or implant? What injectables are used in performing non-surgical rhinoplasty? Which ones should a patient consider, and which should they avoid? What risks and complications are involved in “injection rhinoplasty”? 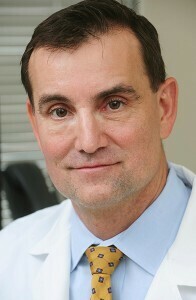 Jay M. Dutton, M.D., F.A.C.S. is double-board-certified in both Otolaryngology and Facial Plastic & Reconstructive Surgery with extensive experience in all aspects of facial plastic and reconstructive surgery, particularly advanced rhinoplasty, endoscopic sinus surgery, and facial reconstruction. He is a member of the American Academy of Otolaryngology-Head and Neck Surgery, American Academy of Facial Plastic and Reconstructive Surgery, American Rhinologic Society, and American College of Surgeons, among other organizations. He is also a diplomate of both the American Board of Facial Plastic and Reconstructive Surgery and American Board of Otolaryngology. The Rhinoplasty Institute of Chicago (RIC) was founded by Dr. Jay Dutton with the mission to provide preeminent care in Facial Practice and Reconstructive Surgery in suburban Chicago. Dr. Dutton specializes in the face – and only the face – with the belief that due to the extreme complexity of facial anatomy, patients are best served by a surgeon who has devoted his practice to facial procedures.